Want to become a welder? There are some facts you need to learn about. We’ve prepared a detailed guide for those who want to become a welder. Learn about welder’s duties, responsibilities, salary, and training. 4 Where Can Certified Welders Work in Massachusetts? Working as a welder you should know a bunch of technics and have numerous skills. It’s absolutely important as you are going to use a variety of tools that are used to heat, melt and connect metal pieces together. Welders in Massachusetts earn a median salary which is about $48 210 per year ($23.18 per hour). It’s slightly more than a median salary throughout the country which is about $39 390 per year ($18.94 per hour). Speaking about the top 10% of welders, their salary throughout the country is about $62 100 annually. In Massachusetts, they earn about $72 230 per year. Where Can Certified Welders Work in Massachusetts? After finishing your training. you’ll be able to find a variety of welding jobs in Massachusetts. 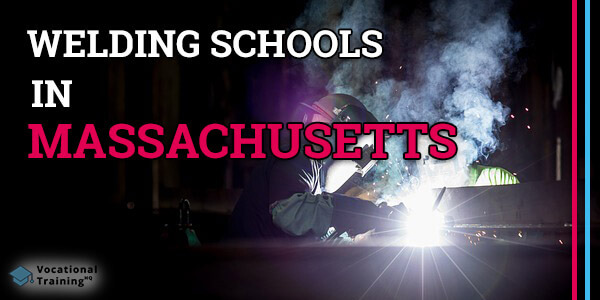 Below there is a list of the best welding certification schools in Massachusetts. There are 23 schools that were approved by the American Welding Society’s SENSE Accreditation Program.